Using natural resources respectfully is important. Every piece of wood has a unique history and requires much work before it even reaches my shop. I look for local sources first and my local supplier saws and dries the wood himself. Many woods that are under-appreciated actually have great potential—woods such as quarter-sawn sycamore, spalted maple, butternut and ash. Unfortunately, people don’t often use these woods. 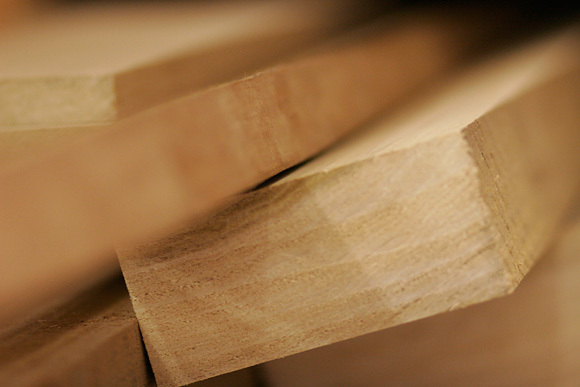 But if you know how they’re sawn and dried, you can gauge how to make the best use of them. Using this approach, a project can take advantage of using lower cost materials that are unusual but yield a truly unique finished product.